My first Julep! There have been numerous times where I have been on the Julep website and was just about to sign up for their subscription service when the cost always held me back. 14.00 for 8mL of polish is like buying half a Chanel polish. YIKES! Do you see now why I never pulled the trigger on them? Don’t get me wrong some of their polishes are GORGEOUS, but I am not drawn to creams all the time and that’s what most of their polishes appear to be. 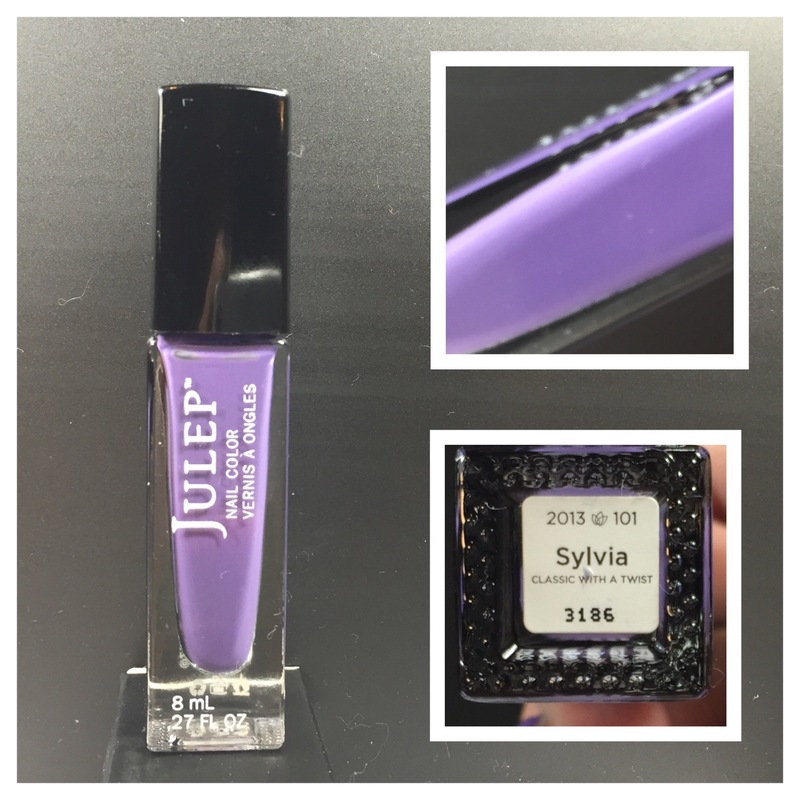 Julep Sylvia surprised me. I’m not a huge fan of creme finishes. I always feel like they work for others but never myself. In truth I only grabbed it in the swap to see for myself if the hype was true. This polish could have been a one coater had I applied a heavy coat. In the pictures shown I used two thin coats. China Glaze Fairy Dust was used as an accent nail and Glisten & Glow HK Girl topped it all off. If I came across another Julep polish would I consider taking it? Yes. Does this make me want to sign up for their subscription? Probably not. But I will enjoy having Sylvia in my collection.